January 2, 2017 10 a.m.
VIP Check-in starts at 9 a.m. Doors for the general public seating will open at 9:30 a.m. 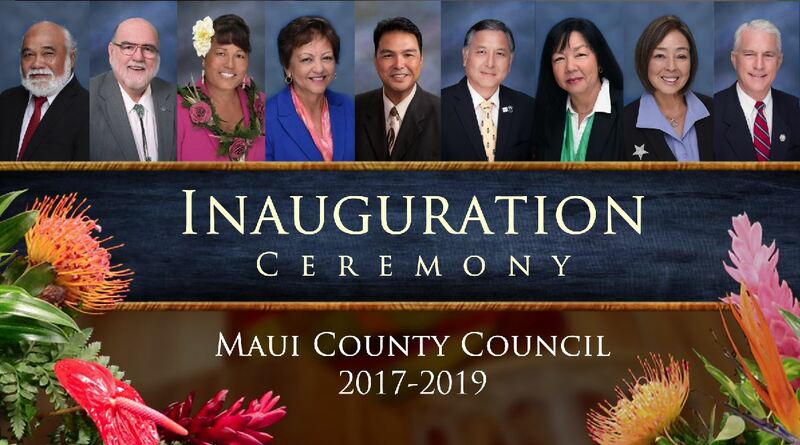 The inauguration ceremony is live on Akaku TV Channel 53 and on MauiCounty.us. PHOTOS: There will be photo-taking 15 minutes after the ceremony. The sequence of photo-taking will be projected on the monitors in the Council Chamber. Each group should take no more than five minutes for their photo session. Because Jan. 2 is a state holiday, most of the parking spaces around the County Building will be available. 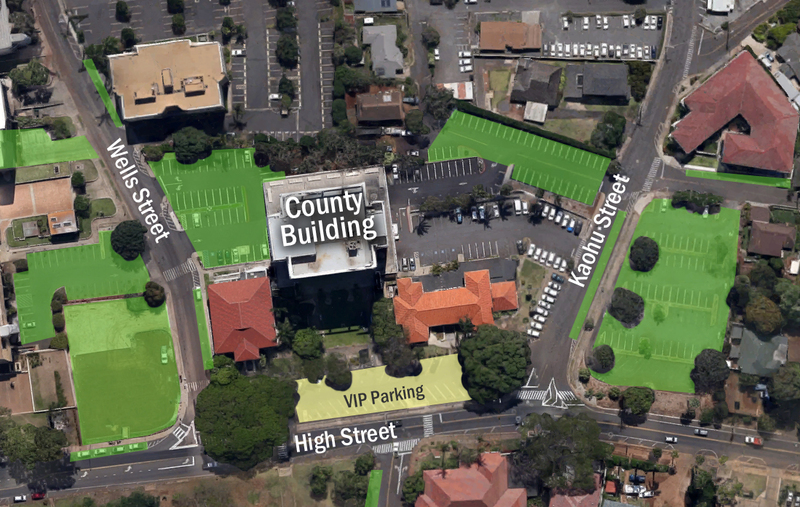 Here are some parking options highlighted in green if you’re considering attending the council inauguration at 10 a.m. or the organizational meeting at 2 p.m. 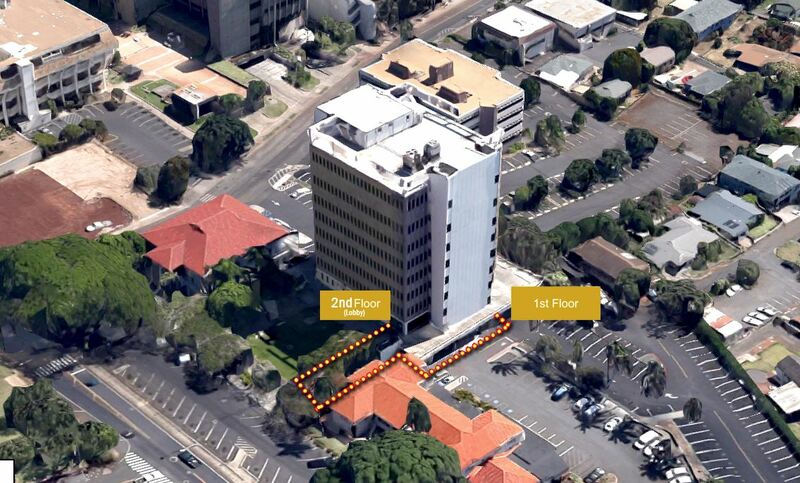 The County Building’s main entrance (2nd floor lobby doors) will be locked by 11:45 a.m. Public exit post-inauguration ceremony at that time will be through the building’s first floor. Signs will be posted. Public access to the Council Chamber via first floor will be restricted by 11:45 a.m. 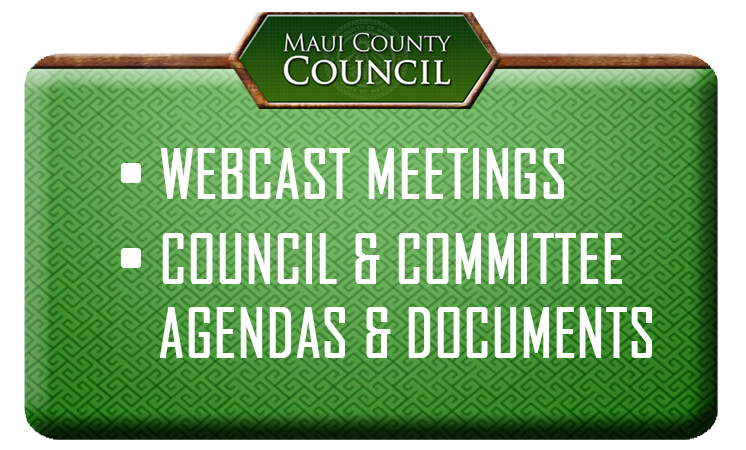 If you are planning to attend the organizational meeting at 2 p.m., first floor elevators will open at 1:30 p.m. The Honorable Richard T. Bissen, Jr.